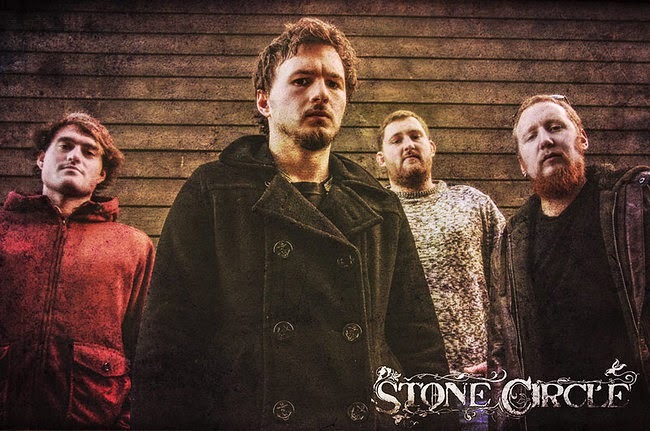 Progressive Metal band from Brighton, Stone Circle are back and mean business! Check out their new offical lyric video for new song, 'Easter Island' taken from upcoming album. The lyric video was created by Bassist, James Pearce so praise where its due! The band are looking to make a huge impact with their return so are currently on tour now which is sponsored by the mighty return also of Brighton's only dedicated metal festival, MammothFest! Of course Stone Circle are playing at the main festival which takes place on the 30-31st August. Stone Circle have the honour of being on the MammothFest line-up again following their successful slot at the first ever MammothFest back in 2010! So this marks a great return all round! Also it has just been announced that the band are playing Tech-Fest on the Saturday 12th July on Second stage at 3pm! So there are plenty of chances to witness their awaited return! See all tour details below!